February 19, 2018 - World-renowned music system manufacturer Linn launches two new LP12 upgrades to kick off the 45th anniversary year of the legendary Linn Sondek LP12. The 1973 Sondek LP12 is the iconic model that the company was founded on and remains the benchmark for turntables today. With its own Wikipedia page and celebrity following, the turntable has gained legendary status among vinyl and music lovers. The LP12 revolution continues with the latest new upgrades – Urika II and Lingo. Urika II is an upgrade to the original Urika and represents a breakthrough in phono stage design. Linn has developed its digital signal processing technology to carry out the key process of implementing the RIAA curve within the digital domain, making it far more precise. This means lower distortion, lower noise and more music for the listener. The musical signal is then perfectly preserved in the digital domain between the phono stage and the downstream components, with connection to a Linn DS player over Exakt Link. Using the same approach as with their Exakt loudspeakers, Linn carefully measures each Urika II in the factory so that minute manufacturing tolerances in the analogue input stage can be corrected, and then your Linn Specialist further optimises Urika II to work with your specific cartridge during installation, for an outstanding performance every time. This new phono stage fits at Klimax level and will sit alongside the original Urika in the phono stage offering. 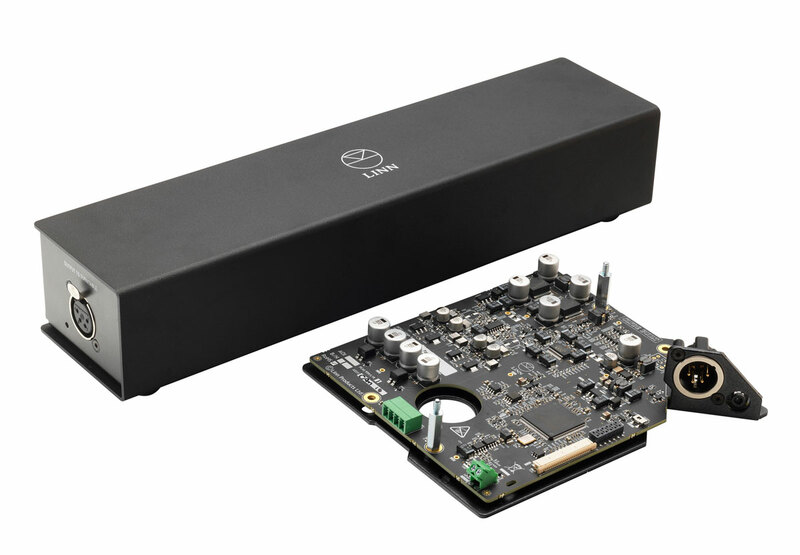 The second new product is the greatly-improved Lingo power supply, which now incorporates technology initially developed for Linn’s top-of-the-range Radikal power supply. The new model is pitched at Akurate level and is neater, more compact and cleverer than ever. It has a new motor speed management system and Linn now employs its innovative digital processing technology to make the platter spin more accurately and more consistently than ever before. This accuracy and consistency is crucial as even the slightest speed variation affects the pitch of the music. Both Urika II and Lingo deliver benefits you can measure, and benefits you can easily hear. As part of the 45th anniversary celebrations, Linn is offering anyone who purchases one of the new upgrades a discount of 15% on another LP12 upgrade product, with the discount applying to the second product. Additionally, Linn has reinstated the original fluted plinth design, which harks back to the design of the very first Sondek LP12. This limited edition plinth is available in all standard finishes and is only on offer to those purchasing one of the new upgrades. Urika II and Lingo are available to audition at Linn Specialist retailers.